Jisti is a cross platform, open source instant messenger and video conferring application, it can be considered as an alternative for Skype application and it supports large number of protocol like SIP, Jabber/XMPP, Facebook, Google Talk, AIM, ICQ, MSN, Yahoo! Messenger etc. Its development process started in 2003 and this project was originally called SIP Communicator. It uses java on the backend and it GUI is based on Swing, let’s review its prominent features and installation process on Ubuntu Linux 15.04. It is a feature rich application and being used by a good number of people all around the world for their video conferencing and IM needs. It is starting to replace conventional chat messengers like Pidgin etc. Here are some of the important features of this freeware application. 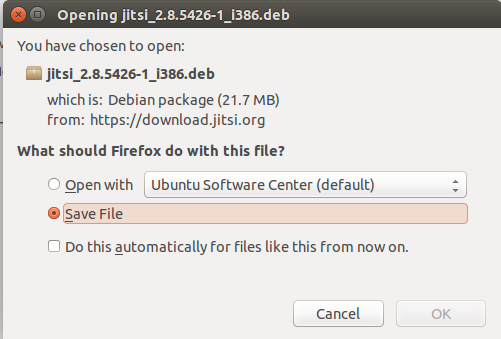 Jitsi latest stable version is 2.8, in order to install it on Ubuntu, first download the Jisti installer file according to your system architecture (32-bit or 64-bit) from Jisti Download page. Once download process is complete, go to the download location via terminal and run following command to install it. 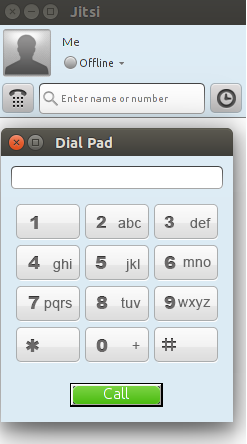 It shouldn’t take more than a min, Congratualtions, Jisti has been installed on your Ubuntu system now. Launch it from Applications >> Jitsi option or by simply typing “jitsi” on terminal [without quotes]. Once jisti is loaded, login with your Google talk/facebook/yahoo messanger/AIM etc logins and start enjoying Video conferencing and instant messaging with your friends and colleagues. This page just made my life so much easier. Thanks so much!